CUMBERLAND MOTOR INN is an ideal central location for groups wishing to be based in one area while exploring further afield on day trips. Nearby destinations include Nelson Bay whale watching, Maitland and Morpeth (which is the first inland port in Australia), Lake Macquarie cruises, Hunter Valley's numerous vineyards and fine dining. 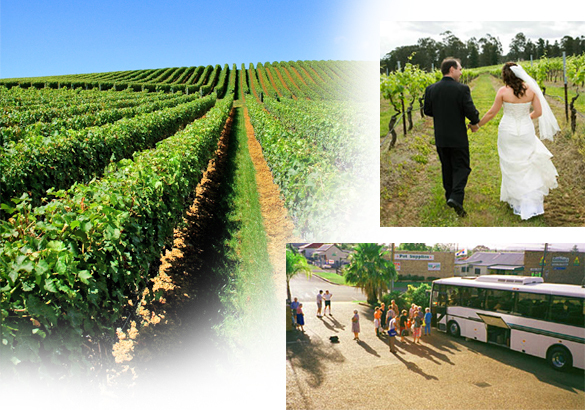 Weddings are very popular in the Hunter Valley, so plan to have all your guests staying in the one place as we have 28 rooms available. Continental and hot breakfast available to your room. Large groups may be catered for in function room. Our salt water swimming pool is an outdoor oasis, the perfect place for a relaxing dip after an afternoon in the vineyards or a drive from Sydney.